from Little League, Babe Ruth, Legion, High School and beyond. Congratulations to Spring Prep team! 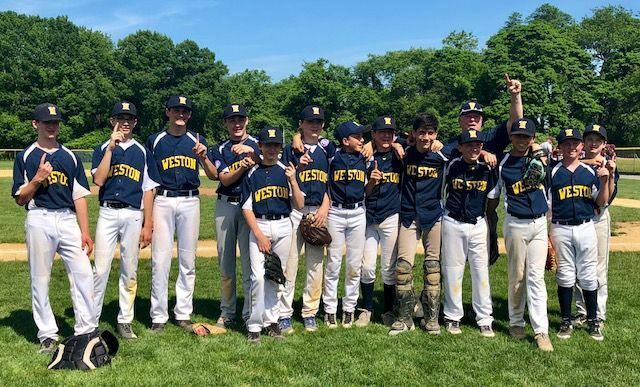 WESTON BABE RUTH PREP WINS CHAMPIONSHIP! Thw Weston Babe Ruth team has won the Fairfield co championship on Fathers day at Kiwanis field in Fairfield.Winners of 12 of their last 13 games they defeated Fairfield DQ 4-1 on outstanding pitching by Sam Hensinger and Luke Barasch along with solid defense and timely hitting.The team has shown tremendous growth during this season with excellent pitching and timely hitting and we could not be more proud of this group and their bright Weston baseball futures said coach Bob Barasch. 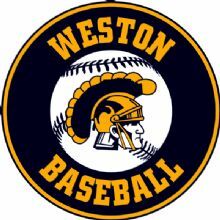 Weston Diamond Club Congratulates Dan Covino! 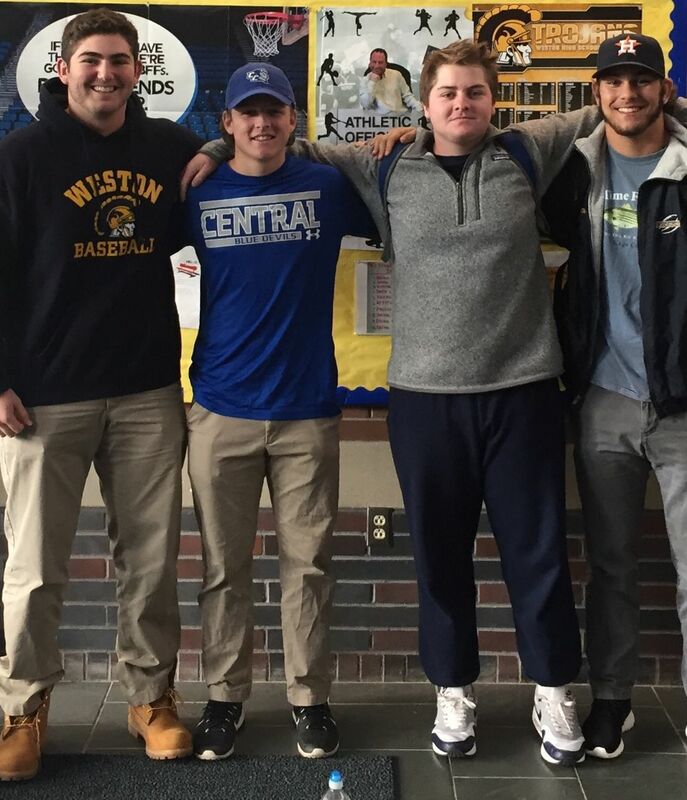 The Weston Diamond Club would like to extend its warmest congratulations to senior Dan Covino, and the entire Covino family, on signing and commiting to play Division 1 baseball with the Central Connecticut Blue Devils. Congratulations Dan on this outstanding accomplishment!! !